Could February have gone any quicker than January?! It's been a jammed pack month, following the lazy Christmas and New Year period and overall has been a pretty happy month for me. This Month I... ate pancakes and burgers! Of course February hits Shrove Tuesday, which is the only day of the year where it is acceptable to eat pancakes all day long. 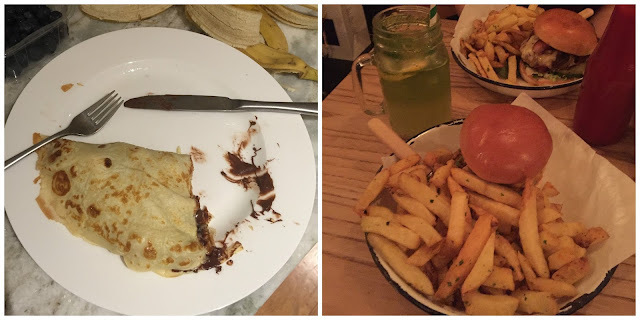 My favourite pancake style is fried banana and nutella filled pancake - one of your five-a-day and delicious! And one month without eating a burger just wouldn't be right, this February was Honest Burgers, one a I really recommend trying out. This Month I... bought another shirt! As last month was a makeup haul, I celebrated surviving February with a new shirt. I will be posting a complete review online, but thought I would give you a sneak peak of this Pull & Bear shirt I picked up. It's so pretty! This Month I... read The Golden Boy by Abigail Tarttelin. I've got a full review here, but a quick sum up is that it focuses on a boy called Max, who is also an intersex. He's not fully a boy, but neither fully a girl and the story begins with a disturbing event which causes Max to question his gender. Each chapter has a different character, which normally doesn't work, but Tarttelin manages to progress the story well. This Month I... watched a load of Pretty Little Liars! Originally I watched the first series when it aired on TV a few years ago, then it switched to Netflix and I couldn't watch it anymore until my brother lent me his Netflix! Now I'm up to season 4 and catching up pretty quickly since the beginning of the year - so no spoilers!! 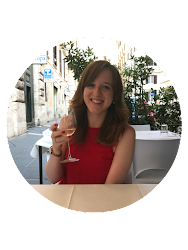 This Month I.... experienced dinner at the Oxo Tower! We picked up a set dinner deal from bookatable.co.uk for dinner at the Oxo Tower last month, and experienced the delicious food and fab views. You could literally see every angle along the south bank of the Thames, even though the window didn't show off the best reflection! I'd definitely recommend the Oxo Tower and bookatable.co.uk for special occasions and great offers. What was your highlight this month? I hope February was fab for you too!